Setubal is Portugal’s third largest port, and located on the west coast just south of Lisbon. Dating back to the Roman period it has retained its original charm in the old quarter, with beautiful monuments, car free streets, and attractive squares filled with quaint cafes. Its most remarkable monuments are the 13th century Church of Santa Maria da Graca, which was rebuilt in the 16th Century and has beautifully carved altars and tiles. However, the city’s greatest architectural treasure is the Church of the Monastery of Jesus designed by the same architect who built Lisbon's Jeronimos Monastery. Its flamboyant doorway and stone pillars shaped like coils of rope are quite extraordinary. The Museu de Jesus is set in one of the Gothic cloisters of the church, with 16th century paintings and collection of ecclesiastical silver and gold. Castelo de Sao Filipe, was a fortress built in the 17th Century to defend the port. Built on a hilltop overlooking the city, it was an attractive luxury Pousada, Hotel Sao Filipe. With superb views of the Troia peninsula, it juts out into the Sado Estuary and Atlantic, and each morning guests can watch the brightly coloured fishing boats make their way into the harbour with their fresh catch. Indeed, the fish auction itself is well worth going to see. The Peninsula of Troia can be reached by ferry, and has miles of blissfully empty, white sandy beaches at the southern end. The northern end is where you can enjoy a round of golf at the Troia Golf Course, designed by Robert Trent Jones Senior. Also on the peninsula are the semi-submerged ruins of Cetobriga. Originally a Celtic village it eventually became a Roman town, and was destroyed by a tidal wave in the 5th century. Excavations revealed ruins of tanks, thermal spas, and the remains of a temple decorated with frescoes. There are many activities to enjoy in and around the area, such as hunting, fishing, river cruises and hot air ballooning. However, it would have to be said one of the main attractions for most visitors is the opportunity to go dolphin watching. East of Setubal is an extensive wildlife reserve, which organises tours that will take you out to watch the dolphins in their natural habitat. There are also over 100 species of birds, the most spectacular being the flamingos and the white storks. For any wine connoisseurs you might enjoy a trip to Vila Fresca de Azeitao, and the famous Wine Cellars of José Maria de Fonseca. Here there are tours that include a free tasting of the Muscatel produced in the area. 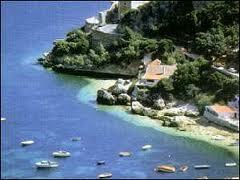 To the west of Setubal is the famous cove of Portinho da Arrábida. There is a high slope shielding its large south facing beach from the north winds, and half way up the slope is a 16th Century Franciscan Monastery. Carefully restored, the Monastery is now a Study Centre with magnificent views looking out onto the water. Not far from the beach, there is also a 17th century fort, which is now a Sea and Marine Biology Centre. Setubal is only an hour by coach from Lisbon airport, however hiring a car may be your best option with so many places to explore beyond the town itself. It is definitely a holiday all ages can enjoy.